The main objective of this report is to analysis Marketing Research on Beximco Pharmaceuticals. General objectives of this reports are to illustrate how market research and statistics cell works in Beximco Pharmaceuticals limited, to identify the problems confronted by Market Research and Statistics Cell of Beximco Pharmaceuticals limited and to make some recommendations to overcome the problems. Finally this report make swot analysis Beximco Pharmaceuticals limited. To illustrate how market research and statistics cell works in Beximco Pharmaceuticals ltd.
To identify the problems confronted by Market Research and Statistics Cell of Beximco Pharmaceuticals ltd.
To make some recommendations to overcome the problems. In Bangladesh Pharmaceutical sector is one of the most developed hi tech sector which is contributing in the country’s economy. After the promulgation of Drug Control Ordinance – 1982, the development of this sector was accelerated. The professional knowledge, thoughts and innovative ideas of the pharmacists working in this sector are the key factors for these developments. Due to recent development of this sector we are exporting medicines to global market including European market. This sector is also providing 95% of the total medicine requirement of the local market. Leading pharmaceutical companies are expanding their business with the aim to expand export market. Recently few new industries have been established with hi tech equipments and professionals which will enhance the strength of this sector. Once a product is brought to market, pharmaceuticals companies spend heavily on marketing and promotion. The larger drug companies maintain a large sales force, which makes direct regular contact with individual prescribing physicians and other pharmaceuticals decision makers. The money spent on marketing is huge. Pharmaceuticals marketing efforts are not only directed at physicians and consumers; drug companies have also sought to directly influence pharmacist, in some cases paying pharmacist to induce customers to change their drug consumption habits. The nature of competition in this industry differs between the two sets of firms. The second tier of firms holds fewer patents and relies primarily on manufacturing off patent generic medicines or patent medicines under license. Competition between these firms takes the conventional form of competition on price, cost efficiency and quality. In contrast, a few large research-based pharmaceutical companies invest heavily in R&D and hold the bulk of the patents, and can often enjoy substantial market power while these patents are in force. For these companies, competition is not primarily on the basis of price, but rather on the basis of marketing and innovation. These companies compete to develop entirely new drugs which treat new medical conditions, improve upon existing drugs, or serve as substitute for existing patented drugs. Some large pharmaceutical companies in this tier export and compete in international markets. The scenario of pharmaceutical industry can be depicted in two parts-before the Drug policy ordinance, 1982 and after the Drug policy ordinance, 1982. Before the ordinance there were 177 pharmaceutical companies in the country but local production is used to be dominated by multinational drug companies which manufactured 75% of total production. 25 medium sized national companies manufactured about 15% of total production. 133 small local based companies produced the remaining 10%. The multinational companies were fully armed with modern technology for producing sophisticated essential drugs, but they were only engaged, large extent, in formulation of simple drugs including many useless products. At that time, the unregulated drug market of the country had very little favorable conditions for pharmaceuticals to over price their products. Near monopoly market conditions mean that local firms could not compete effectively with these multinational market tycoons. Medicine is directly related to human life and therefore, its manufacturers have immense social responsibility of providing safe and effective medicine, demanding uncompromising efforts, at all levels of its activities. Beximco pharmaceuticals Ltd the leading health care company in Bangladesh has been making every effort to ensure the effectiveness and safety of the medicine that it produces. Physicians and patients of the company reply on the efficacy of the medicines of Beximco pharmaceuticals at the time of critical needs demonstrating their confidence and trust on BPL products. BPL has a remarkable mission statement, which is being seriously pursued in its thoughts and actions. An increasing amount of contribution is ploughed back into social causes demonstrating BPL’s commitment to the nation. As we continue to grow, it should not only benefit BPL itself but it should also positively contribute to the nation and society where we live. In BPL believe that they manufacture and sell medicine to provide health, happiness and smile back in life of our fellow citizens. We intend to help realize the ultimate aspiration of the nation for a lifetime of good health ensuring a healthier tomorrow for the people. Beximco is the largest business conglomerate of private sector in Bangladesh. Today it is one of the most known name is the country’s business arena. Beximco was the first private sector company to be registered in Bangladesh as a public limited company in September 1972. Since then, Beximco has taken the lead in public equity offerings in Bangladesh. At the end of 1996, the ten publicly listed companies of the Beximco Group accounted for Tk. 33.87 billion or 20.4% of the market capitalization of the Dhaka stock exchange and Tk. 31.12 billion or 21.3% of the market capitalization in Chittagong stock exchange. Beximco shares are also the volume leaders on the national bourses, accounting for 22.08% of turnover at the DSE and 29.23% turnover at the CSE in 1996. The Beximco Group has also played a pioneering role in establishing and expanding the debt instruments market in Bangladesh. Beximco Pharmaceuticals Ltd was the first Group Company to issue debentures in 1988 and has been followed by seven additional Groups companies since., Beximco equities and debentures continue to perform the market as a rule, and have been often rated as buys by several foreign investments firms such as UBS, Crosby Securities, Peregrine and the erstwhile Smith New court. Beximco stocks are also well represented in the emerging market funds portfolios of leading mutual funds world wide. Quality is the ultimate factor that works in the mind of the customers which create brand image at the end of day. 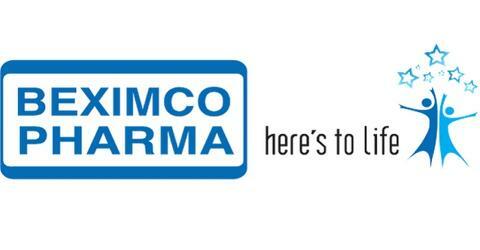 The Beximco Pharmaceuticals Ltd. is known for its products. The strength of BPL lies in its quality controls system and up to date manufacturing facilities. It has established manufacturing facilities conforming to GMP and WHO standards. During all stages of manufacturing operation from receiving raw material to the release of the finished product the requirement of GMP are strictly adopted. Distribution of product is very important no matter how good product is. In case Beximco pharmaceuticals Ltd. the distribution of BPL product is really good. In fact BPL has a distribution unit I & I services Ltd which is the distribution wing of chemical divisions. It maintained a large distribution network and covers over 25000 retail pharmacies every month all over the country. Along with this a highly sophisticated computerized order processing system, adequate logistic facilities like vehicles, depots and also professional sales people are also there in order to keep pace with increasing market demand. So, strong distribution system of BPL plays a vital role in the success of BPL in Pharmaceutical industry Bangladesh. BPL is adopting all modern technology which strengthen the quality of product in more efficient manner. From my point view I think this is another reason for the success of BPL in Bangladesh and also across the globe. BPL’s most vital resource is its people. Its dedicated team of professionals form various disciplines are integrated in conducive environment to achieve companies objective. The people of BPL strongly believe in the company’s philosophy of serving the nation and contributing to the society. BPL’s over 1,981 young, energetic, professionals ensures the timely promotion and smooth running of the product to every parts of the country. Thus this is another factor for the success of BPL. Market Research and Statistical Cell Department (MRC). In this competitive business market “Market Research” is a vital part of any type of company, especially who have the variety range of product (like-medicine, cosmetics, consumer goods etc). Market Research is necessary for marketing any type of sense about the market and which saves the time, resource, wastage of energy and money. Market Research helps to know about the condition of existing product, helps to set the further steps, helps to achieve the objectives and target of the company which is set by the top management, helps to know the condition of the competitors, market share and market growth rate etc. through market research company can keep the record of each and every product and also some other factors like which product is earning more value for the company and which product is not, which one is the number one product in terms of unit or which one is the highest selling drug in different markets ( like- antibiotic, paracetamol, ranitidine etc) and also the performance of the Medical Representatives (MRRs). It also helps to identify that product which one needs a large promotion to increase its sales in volume. Marketing Research Department not only keeps the products record but also keeps the doctors record , which doctor helps to earn more revenue by prescribing medicines of Beximco Pharmaceuticals. In BPL, MRC Department was established in 1987 with one Sr. product officer and five Market Research Representatives under Central Product Management (CPM) Department. MRC Department divided the whole country into 20 zones to make the research work effectively and accurately. MRC Department has a research team which controlled by the MRC department which includes senior officer, MR officer, Assistant MR officer and MR supervisor ( office), and the manager of MRC department is responsible for the whole activities of Department. In this Department there are 32 employees working together. There are some specific jobs that are done by the MRC Department on regular basis. Prepare monthly survey report in brief. Prepare statement of prescription, slip, OTC, and also product manual movement report of BPL, formulation and infusion. Prepare required product wise report of 12 BPL region and region formulation and infusion. Prepare comparison of BPL, formulation and infusion with the competitors. Prepare national product wise report of BPL, formulation and infusion. Prepare monthly report. Prepare brand loyal doctors survey report of formulation. Prepare the report of yearly average percentage comparison of different company. Monthly territory wise percentage of BPL, formulation and infusion. Prepare combined percentage (BPL and formulation) every month. MRC dept. goes for official visit or unofficial visit to checkout MRR doing their works properly or not. Prepare the monthly tour plan and short tour plan. Collect the data from the field through MRR. MRC dept. sends monthly report to the marketing departments and sales department with copy to the top management. BPL’s MRRs are more centralized and well trained by obtaining prescription survey successfully. To prevent biased information all market researcher of BPL does not disclose their identification to anyone even not to the Medical Representatives of all Pharmaceuticals companies including BPL. For conducting prescription survey BPL also provides some gifts items like (pen, pad) to chemists shop for participating frequently in the survey. The MRRs of BPL may survey other chemist’s shop which was not enlisted in tour calendar for gathering more and variety information as any one wish. If any one becomes sick while his hour, he may inform the MRC department as early as possible so that MRC Department could sends another MRR in the replacement of previous one. The new MRR would complete rest of the assigned survey. The MRR of BPL is always prompt to take up to date information. That means they never allowed prescription over 2-3 months in their survey process. These are the entire procedure of how the survey is done. MRC department has a research team which controlled by the MRC department which includes senior officer, MR officer, Assistant MR officer and MR supervisor ( office), and the manager of MRC Department is responsible for the whole activities of Department. In this department there are 32 employees working together. MRC Department at first develops a tour plan based on the 20 regions of BPL. Under the each region there has some districts like-Dhaka 1 region covered with Munshigonj, Manikgonj, gazipur etc. they develops a short tour plan for those regions where number of territory is huge. One MRR cannot cover the whole region. In such cases MRC dept. arranges this short tour plan for every month. Tour plan is a very systematic procedure of how the MRR gathered prescription from different places. Specified places are includes in the tour calendar as well as assigned MRRs name also includes. There are 20 MRRs worked different area. Normally tour calendar is prepared by Sr. officer and officer. They distribute territories among 20 MRRs by the serial of monthly basis tour calendar. The working period of a tour plan is being determined by near about 20 days for every month. Survey tour is very carefully allocated by the MRC dept. of BPL. Every regular survey tour time is 20 days long. The daily survey time of MRR is 8 hours. But it could be varied depends on situation. At least 2-3 days are needed to visit each and every territory. In case of short tour time is for 8-10 days. After recruiting the MRRs, BPL goes for well equipped training programs for a month for a long time. In that time the trainer trained them in a proper way to conduct a sound survey. After that they directly go to the assigned territories as per tour plan calendar. In prescription survey the MRRs should be agile and prompt. They go to the different chemist’s shops, hospitals and clinics and doctors chamber and health complex to cover their assigned survey. MRC Dept. follows the observation method for their prescription survey. There are two simple things basically MRR do in their survey period. One is standing beside the chemists shops and looking for prescriptions coming and write down the products name in survey sheet. Another is sometime MRR cordially asking for prescriptions to the patients or their guardians to know the products prescribed. In their survey they quick look at the different prescription and its required elements such as the doctors name, products name etc. they look it to the customized from without hampering anyone. That means they gathered Surveyed information not to the disturbing any patients or guardians of patients and chemists shop employees. The main differences between the others pharmaceuticals company’s survey employees and BPLs survey employees are to gather information in a hassle free manner. It identifies that BPLs MRRs are more centralized and well trained by obtaining prescription survey successfully. To prevent biased information all market researcher of BPL does not disclose their identification to anyone even not to the Medical Representatives of all pharma companies including BPL. For conducting prescription survey BPL also provides some gifts items like (pen, pad) to chemists shop for participating frequently in the survey. One of the important aspects of the survey process showing honor to the survey participants either it could be a chemists shop or patient. As a result company will not bother how far they reach their target. But it is ensuring that no one will claim a bad reputation against the company. The MRRs of BPL may survey other chemist’s shop which was not enlisted in tour calendar for gathering more and variety information as any one wish. The new MRR would complete rest of the assigned survey. The MRR of BPL is always prompt to take up to date information. That means they never allowed prescription over 2-3 months in their survey process. These are the entire procedure of how the survey is done. The selected MRRs are visiting chemist’s shops to checkout the prescriptions, slips and over the counter drug. Filling up different product manuals included with the surveyor name, spots name, doctors name, territory code, visiting time, date, name of the prescribed medicine are written down. From that particular product manual information they prepared day to day summary where product name and company name are enlisted. After preparing the summary a centralized report has been prepared in a brief manner which will send to the MRC Department for further analysis. This Department looks the popularity of the shop, present condition of the shop, prescription movements, area of the shop, the willingness of the shop owners etc. if some chemists shops able to fulfill these requirements them MRC Department goes to survey of that spots. MRC Department looks the specialist of the doctors, demand and popularity of the doctors, number of patients, willingness of the doctor etc. by fulfilling these requirements MRC Department sends their MRRs to those clinics for survey. MRC department looks for the category of a hospital or clinic, prescription movements, popularity of the hospitals or clinic & doctors, willingness of the hospitals and clinic management etc. MRC department conducts the survey activities by fulfilling the requirements of place or spot selection. Over the counter products (OTC). OTC products can be bought with any prescription. Pharmacy Products can be bought with or without any doctor’s prescription. POP can be bought only with doctor’s prescription. For the market research activities and analysis, these are the raw data and information that collected from the selected field (chemists shop, hospitals, etc). Where slip and POP data can be collected from the hospitals, clinics and from the doctor’s chamber. On the other hand all these three types of data can be collected from the chemist’s shops. MRC department does not give any fixed target to MRRs to collect prescription data. MRRs survey 8 hours in a day and within this time try to collect near about 55 to 60 prescriptions but there is no mandatory rule of the number of prescriptions. This average number of collection will vary depend on the situation and selected spots. Name of the 20 regions of MRC Dept. : MRC Dupl. divided the whole country into 20 regions to utilize their MRRs (survey team) In a better way and to do the survey activities more smoothly effectively & efficiently. In Every region there have some districts and areas like- under Dhaka –I Region: Manikganj, Monshiganj, Gazipur etc. There are 829 territories under the 20 regions. Now at this time this process of data analysis all about computerized it is comparatively less time consuming and result is to come very quickly. When the MRR send regions wise report at this time MRC Department input the data in computer and using strong analysis software to get full market result. In past time of MRC Department working process is to long and to much complex in favor of present time, it consume high time, resources etc. At those times MRR of BPL gathers different territories information by prescription by survey and sends to the MRC Department. MR Officer receives different summary reports and prepare product wise tally sheet. After that this information is put into computer by Area Sales Executive’s sheet wise and its result goes to regional sales executive’s sheet. It will compare to the other companies national result. By this way MRC Department prepare the monthly report. Top level Management will make further company decision depends on this monthly report. Monthly report is printed in different forms. Usually 4 to 5 types of monthly report MRC Department prepare. Such as national product wise report, required product wise report, comparison report, brand loyal doctors survey report etc. Bangladesh Pharmaceuticals industry is a very competitive market along near about 300 Pharmaceuticals companies. Most of the companies struggle for not having better marketing decisions. In absence of sound information any decisions may occur a huge damage for the company. So market research can make a big difference among the companies. A well structured survey process can provide relevant, current, valid information to management to make appropriate decision whenever required. It will help to determine pharmaceutical market share along with different branded product market share. It will help to identify which product is more popular in which region. According to this information company will take further promotional activities of that particular product. Market survey shows the accurate picture of the present market condition of the pharmaceutical company. It able to acquire the further product demands and to promote new products. Market survey is the path to determine the present market demand of pharmaceutical product. It shows the real picture whether BPLs selected and specific doctors written down its product continually or not. It helps to identify the necessity of product promotional activities which is given to the chemist shops or the doctors. It will also specified individual product promotion strategy for old or new pharmaceuticals market. Market survey enables to recognize competitor’s different activities while they are promoting themselves. Its summarized result may help to different forces by providing relevant information about pharmaceuticals product, doctors or chemises shops. This surveyed result will assist to provide sufficient market information to marketing department by giving different types of report. Survey result used to determine the overall MPEs, ASEs and RSEs performance appraisal for a certain period. The survey process is carried on continuous basis but sometimes new products of other companies are not entered in to list. Because the MIS department of BPL are not updating the list of product. It can not give the actual picture of the market to the decision makers. Competitors of BPL are trying harder to improve their survey method and get the benefit’s but BPL doesn’t update significantly their survey method. Whereas many new techniques available. The Market research and statistics cell lacks adequate Market Research Representative’s. Though Bangladesh is a small country but over populated. Market Research Representative’s cannot cover the whole market. The process of Monitoring Market Research Representative’s work is not effective. The spot monitoring employees are not at all present in the research area. As a result sometimes Market Research Representative’s do not work well and make false statements. The data transfer from field to MRC department is manual yet. That means the collected raw data sent by courier service or post. MIS department and MRC department should be connected strongly so that they can update the product list immediately. MRC Department can improve its survey method acquiring new software’s like GQS. The department should immediately appoint some Market Research Representative’s and current Market Research Representative’s should be given more training. Data transfer should be faster through electronic media. Pharmaceutical sector is one of the fast growing and most developed scientific sector in Bangladesh. There are about 250 registered pharmaceutical companies operating in Bangladesh pharmaceutical industry. The market is highly competitive. It is really difficult to get response from the market. Here the target customer is different type of specialist doctors. Company depends on those physicians prescription, because doctors are prescribing some medicines and accordingly patients follows the doctors instruction. Sometime chemist’s shops also influence the patients to take medicine as their choice. So, the pharmaceutical companies have to know about their target customer’s behavior and market condition to develop marketing strategies based on this situation. Market research can play an important role to know about the doctor’s behavior in this prescription, market condition, market share, market growth rate, and competitor’s activities by collecting current, valid, and reliable accurate information from the pharmaceuticals market. BPL has a well established market research department, conducts the survey activities for collecting those market related important data. Market research department of BPL has a more mechanized, systematic and well structured survey procedure comparing any other pharmaceuticals company’s survey process. MRC department operates a month long training program for the MRRs to make them smooth and sound surveyor. MRC department of BPL surveys from the place of chemist’s shops, doctor’s chamber, clinics, hospitals etc. and MRC department cover the whole country fro this survey. By this prescription survey analysis, MRC department of BPL assists the marketing department and sales department to provides essential information by which the top management can easily locates their position in the pharmaceuticals market and takes necessary steps to that area where their condition is not good than others. Square and Beximco pharmaceuticals is the 1st and 2nd leading company in this sector respectively. With the sound information BPL can reduce the gap from Square and tries to make a top position in this sector gradually. that needs to be improve and that would bring a sound result on present survey procedure which would be more helpful to take marketing decisions for the company.